Many people put their garden beds to rest after the tomatoes have ripened, but that need not be the case. Now is the time to plan and prepare for fall vegetable garden plantings, also called succession planting. It's a great time to start gardening even if you've never grown food for yourself! If you want to enjoy fresh vegetables from your garden through the fall, start with preparing your soil. For beds used in the summer, turn them over and add a little fresh compost. 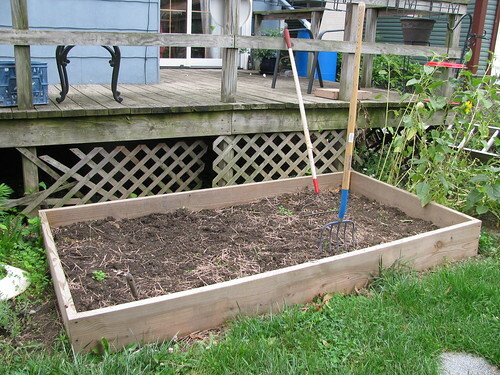 For new beds or containers, fill with fresh soil mixed with some compost. Next up is seed selection. My number one rule for picking seeds is 'grow what you like'. Columbus locals can still find seeds at Zettler Hardware, garden centers, and clintonville community market. 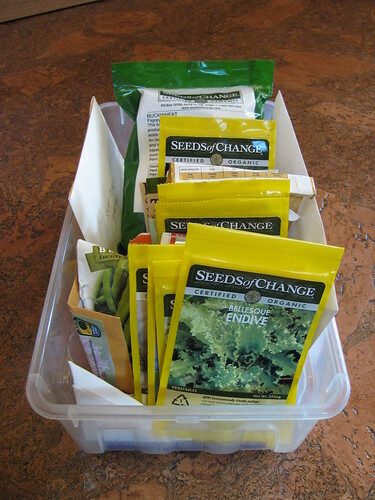 It is perfectly OK to reuse seeds from the spring too. Other vegetables that would probably work but I don't love or don't have space for are kohlrabi, cabbages, turnips, radishes, endive, broccoli, and cauliflower. When you have your seeds, it's time to plant! Use your seed packet and calculate the planting date by subtracting days to maturity from first frost date. In Columbus, the average first frost is in the first week of October. I will start seeding in mid August. Water well just after direct seeding and keep watered until you see seedlings appear. Then, water when the soil is dry below 1/2 inch under the surface. Harvest leaf vegetables (lettuce, spinach, chard, kale, etc.) by cutting leaves regularly. After you cut, they will continue to produce new leaves. Root vegetables can be left in the ground until a solid frost. I hear that some people actually put straw down and just dig out their carrots and beets all winter long. I prefer to pick them after a certain point, don't wash, and store in plastic bags in the refrigerator. Carrots lasted for months this way last year!! With our plans, I hope to still be eating greens and other goodies through November at least. What are you planting? I have a few more fall planting posts in the works. Check back or subscribe to the Hounds in the Kitchen feed for info about garlic, strawberries, and putting the beds to rest.